Born in Belluno, Italy, in 1983, Sandro is a 2004 graduate of the prestigious school of Architecture in Venice, Italy. He has over 15 years of experience in architecture and construction management. Sandro has First Degree at IUAV of Venice in the year 2005, he followed the study in Milan Politecnico and where had Specialistic Degree in 2009 with Prof. Arch. 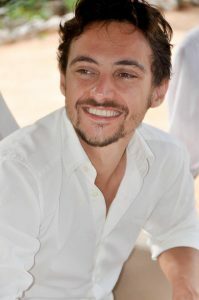 Giorgio Grassi. From 2004 until 2007 he collaborated with Prof. Arch. Gino Malacarne on architectural contest, didactic work and projects in Ferrara, and Cesena. From 2008 to 2010 he worked as the assistant of the Prof. Arch. Silvia Malcovati in the Politecnico of Turin. Nowadays, Sandro has developed 8+ condos, 3 hotels and 5 private residences since making Playa del Carmen his home in 2011. He planned and built several projects including residential, hotels, commercial and condo buildings. Sandro has extensive experience in mult-unit condos and is familiar with all of procedures and challenges a project of this scope brings.